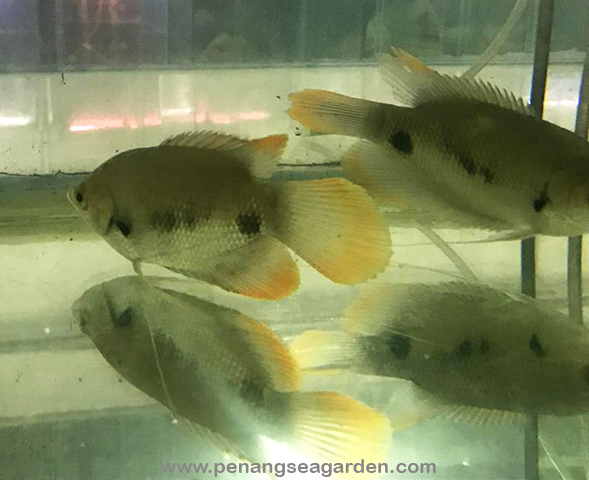 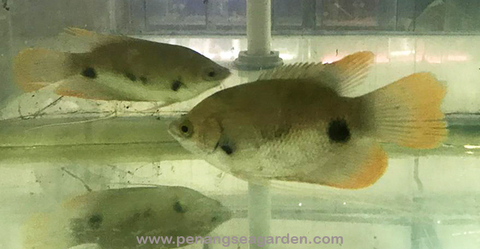 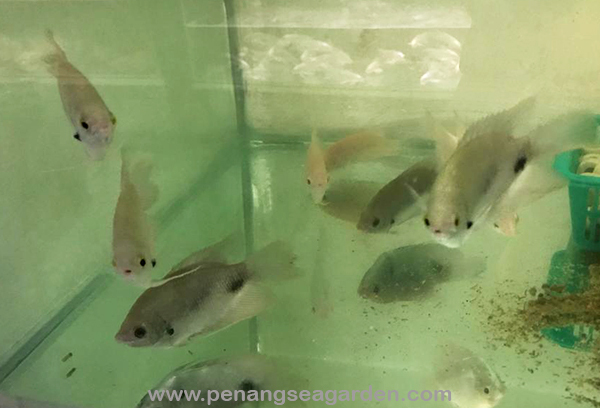 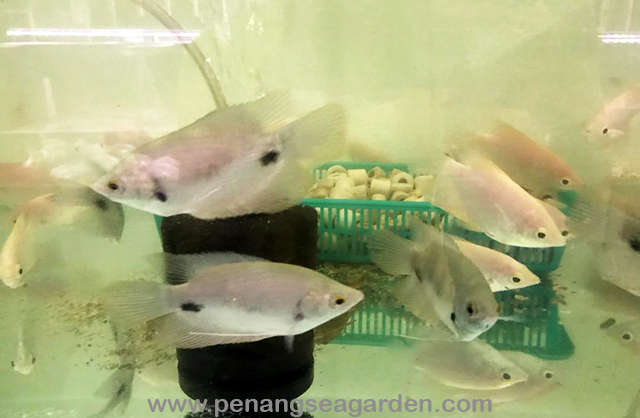 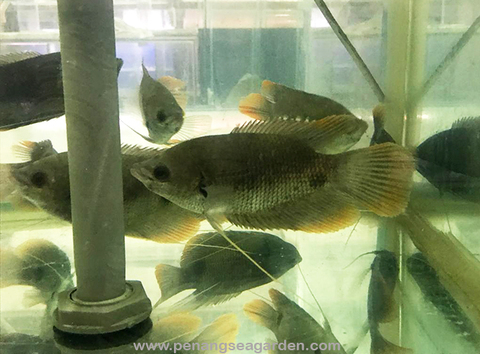 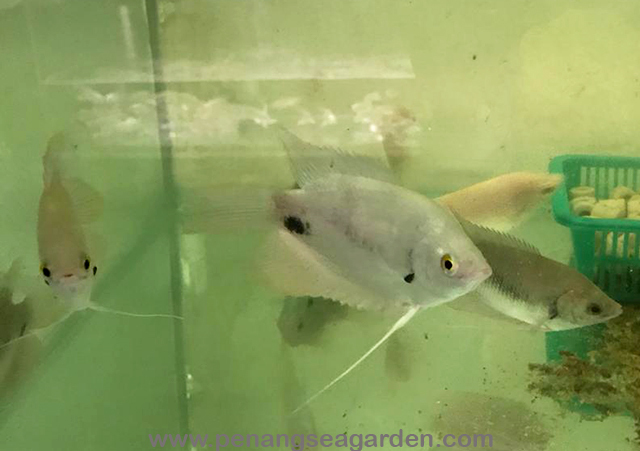 Home › Sabah Gourami / Sabah Kaloi 7"
Sabah Gourami / Sabah Kaloi 7"
4 years - The average lifespan is 4 - 6 years, but with proper care they can live longer. 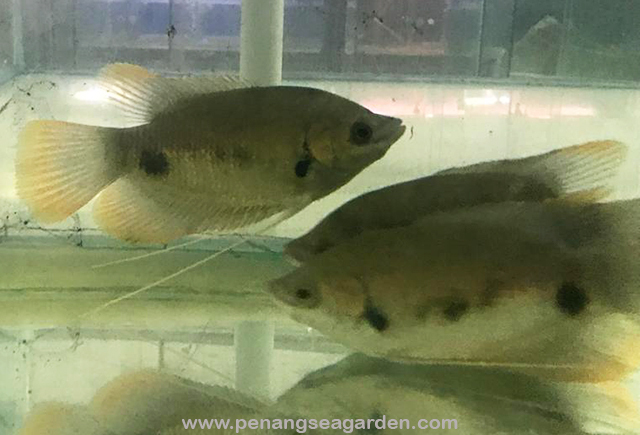 Like most Labyrinth fish, the Gold Gouramis are bubble nest builders. Breeding is fairly easy and providing a breeding tank that is to their liking is perhaps the biggest challenge.